George Anderson was born in Scotland. He played centre half for Leith Athletic in the Scottish League before Tom Mitchell persuaded Anderson to join Blackburn Rovers in 1892. That year Mitchell signed two other Scottish players, Harry Marshall and Johnny Murray. 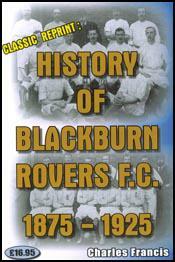 That year Blackburn Rovers finished in 9th place in the league. 28,000 spectators watched Blackburn Rovers beat Sunderland, 3-0 in the 3rd round of the FA Cup. There was a record gate of £760, the previous best being £454. One Blackburn supporter wrote after the game: "Southworth is the finest centre-forward and Anderson the finest half-back the world has ever seen, or ever will have the luck to see." Unfortunately Blackburn lost 2-1 in the semi-final to Wolverhampton Wanderers. Tom Mitchell, the secretary of Blackburn went back to Scotland to improve his squad. Adam Ogilvie was signed as the new goalkeeper. He joined fellow Scotsmen, George Anderson, Harry Marshall, Johnny Murray, Johnny Forbes, George Dewar, Coombe Hall, Tom Brandon and Harry Campbell in the side. George Anderson left Blackburn Rovers in 1896. During his time at the club he scored 11 goals in 131 games. 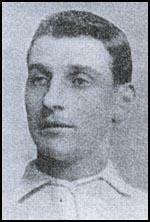 He played for non-league New Brighton Tower before returning to Blackburn in the 1898-99 season. In 1900 Anderson joined Blackpool. He was moved from centre-half to inside forward and scored 29 goals in 78 games before retiring from the game in 1903. After an opening day win (in the 1892-93 season), a narrow 4-3 victory over Newton Heath at Ewood Park, the Rovers then began on a sequence that brought five draws and five defeats from their next 10 League games. It was during the later stages of this sequence that Tom Mitchell was again dispatched to Scotland to find players of genuine quality. Within a matter of a month the club had made several significant signings. George (known as Geordie) Anderson was signed from Leith Athletic to occupy the centre-half position, while Harry Marshall, an outstanding Scottish international half-back, was signed from Hearts.